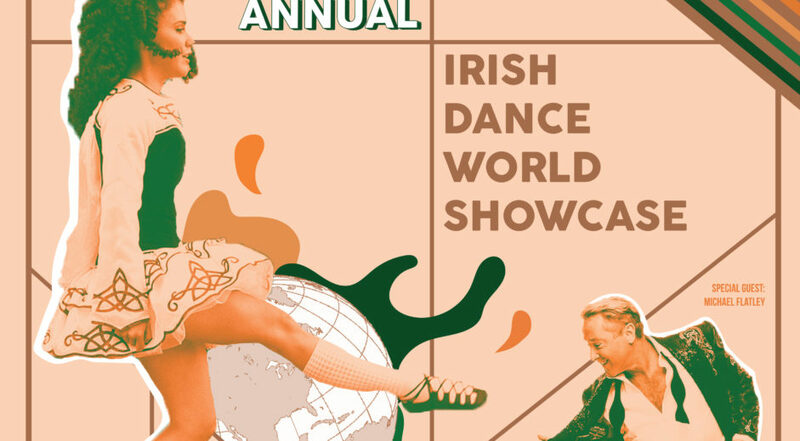 For a semester-long design research project I had been studying the needs of those who Irish dance in Gainesville and all over the world. 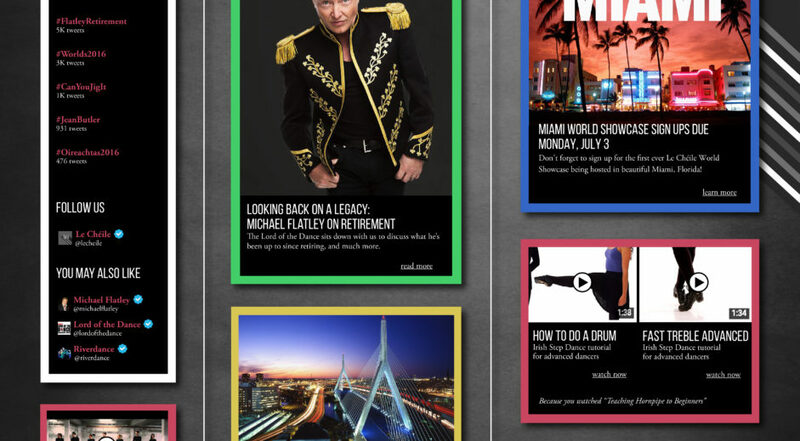 My findings taught me many things, but what stood out overall was that the Irish dance community is very isolated and divided when it should be united across nations. 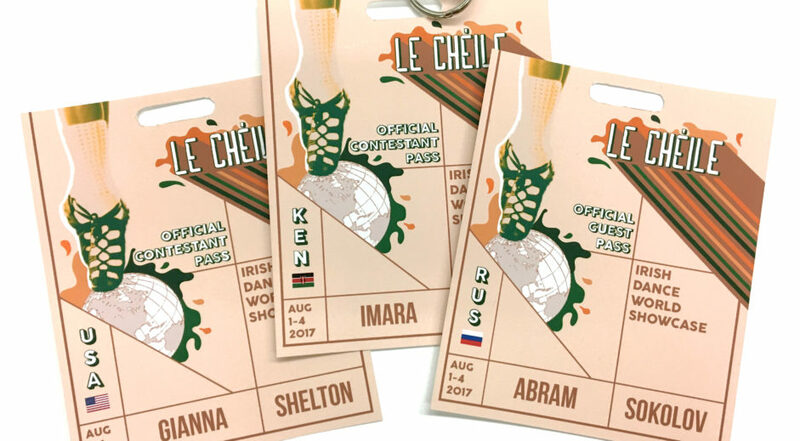 For this reason, I came up with an Irish Dance organization called Le Cheile (Gaelic for Togetherness) that would have a website created to cater to the needs and interests of any level of Irish dancer or any person interested in the Irish dance community. 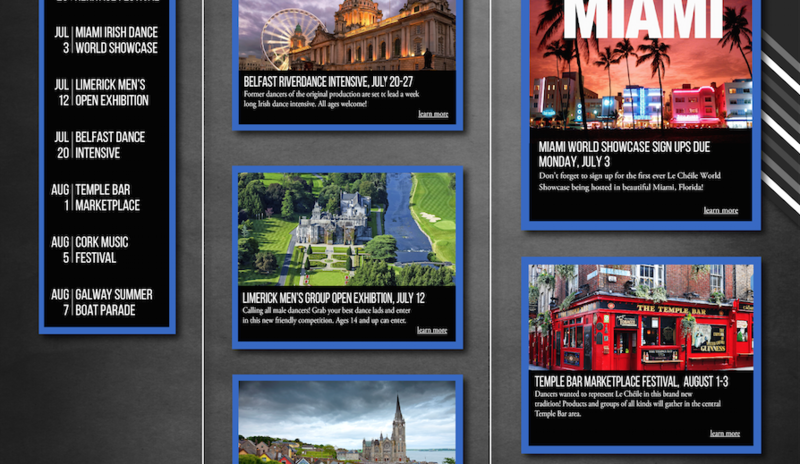 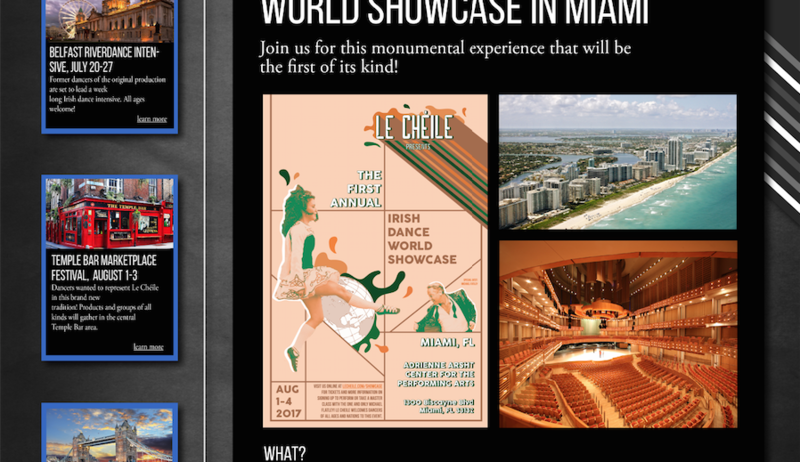 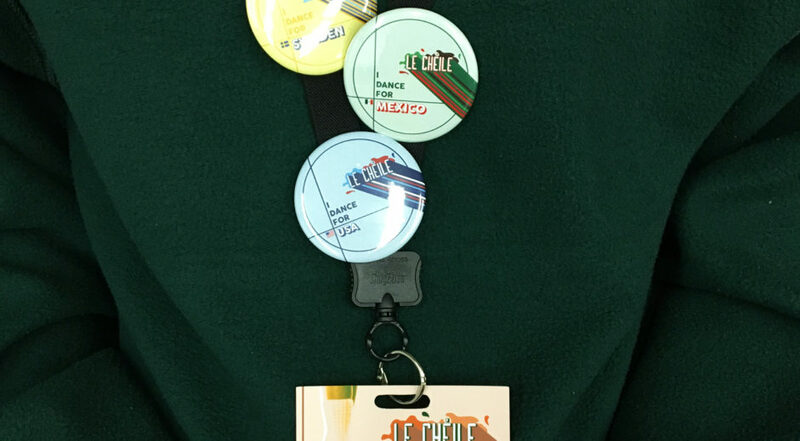 I also created the branding for a world showcase event Le Cheile would host.